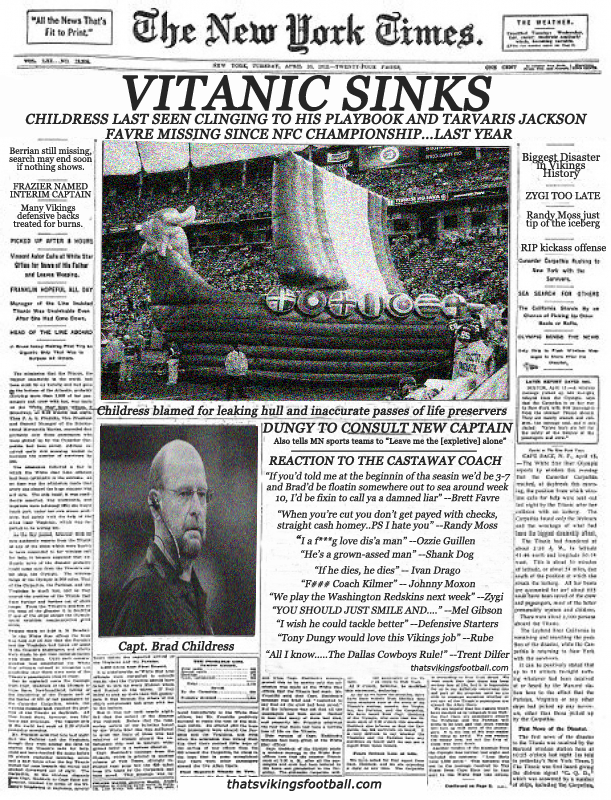 Well it finally happened, the Vitanic has sunk. After the Miami loss I posted a picture of Chilly and Favre on the bow of a ship and named it Vitanic and I captioned it with “We all know how this movie ends”. Unfortunately I was right and the season is lost as well as Brad Childress. Childress says his heart will go on.